Is Garvald ready for its close up? Exciting news. Garvald is going to be a film set. 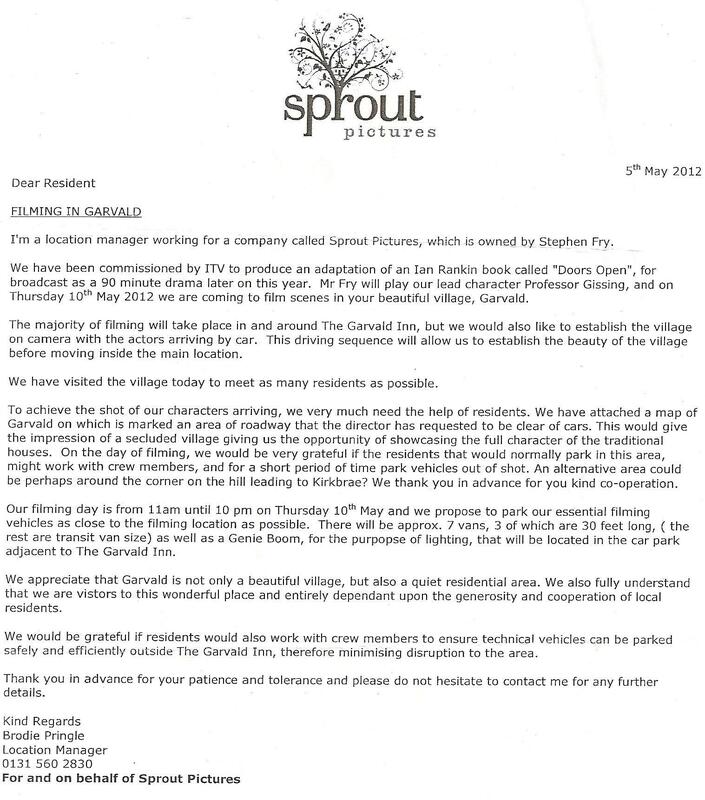 This Thursday, Sprout Pictures will be using the village as the setting for its adaptation of Ian Rankin’s “Doors Open.” And STEPHEN FRY is taking the lead … For more information, please see the following open letter to residents! This entry was posted in Events on May 7, 2012 by KM.